Can you be a blessing this year? To our veteran’s? My sorority has partnered up with Wreaths Across America to fund raise for wreaths to be placed on the grave sites of the fallen soldiers. 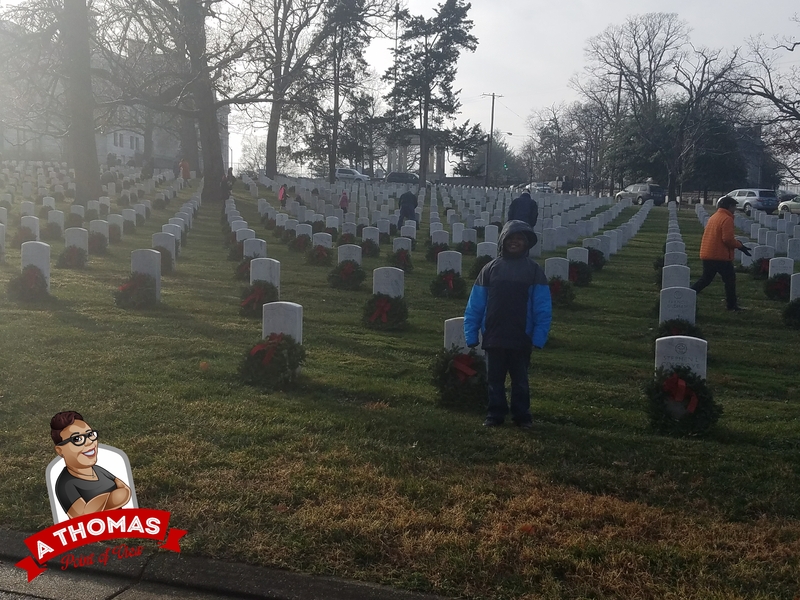 We will be placing wreaths for the fallen soldiers on Saturday, December 16th at U.S. Soldier and Airmen’s Cemetery in Washington, DC and we need your help to reach our goal. Our goal is 100 wreaths. Last year was my first year volunteering at this ceremony. Munch and I attended with my sorority sisters and I have to tell you that I was honored to be a part of such a beautiful tradition. I thought Munch would be scared, but he wasn’t. 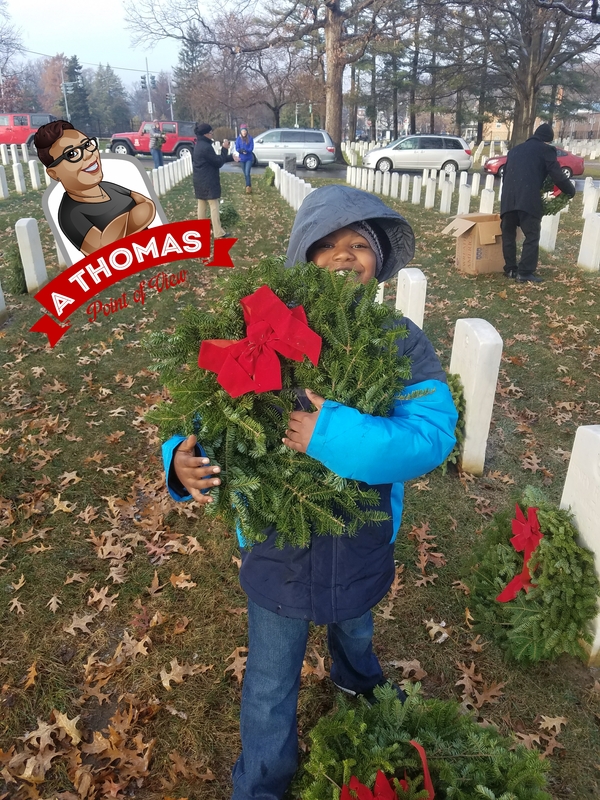 He grabbed the wreaths and put them on the headstones wishing each fallen soldier a very Merry Christmas. I truly thank you and appreciate each and every one of you. One wreath for one headstone is $15.00. If I can get 100 of my followers to purchase a wreath we will meet our goal. Can you help? The deadline for all donations is Friday, December 1, 2017. Previous Entry Want to Guest Host?